Why is communication so important? It is important because it is the mortar which keeps our society together. Without the ability to communicate, we would not be able to create a civilized society which offers order and stability necessary to improve the quality of our lives. But what is actually effective communication? Much has been researched and written about this topic, but so far, the ability to genuinely be able to communicate effectively seems to depend on factors difficult to replicate: talents, emotions, psychological willingness to communicate, and many other ‘subjective’ factors. With all these limitations in mind, it is extremely difficult to find an objective and rational way or formula to be able to communicate objectively. Rules of etiquette have been developed over the centuries to facilitate non-violent and civilized communication between people. These rules have indeed proven to be effective if certain conditions can be met: sophisticated education of the people, an advanced economic system providing enough high paying jobs, and a social security system to protect the weak members of society. If these ‘external’ conditions can be met, communication between people will become much more effective because the people will be able to control their emotions and anger (‘anger management’). 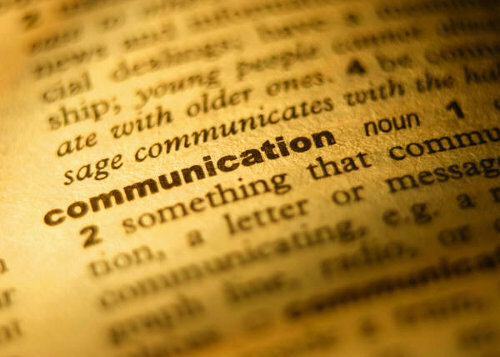 If all those conditions have been met, the people will experience the right conditions to communicate effectively. However, effective communication is just one of the possibilities or an option from which the people can choose. Other options of ineffective communication will still be available. Two aspects are quite important in communication: self-interest and interest of others. The three possibilities of interaction which are ineffective can be identified as: ignorance, submission, and dominance. Only one mode of communication can be identified as being effective: cooperation. What are the characteristics of cooperation? When people are communicating cooperatively they are truly trying to find a consensus based on an equal relationship. Both are engaging themselves in a communication/interaction setting which is symmetrical. The two ineffective modes of communication, dominance and submission, are both caused by asymmetry. Another important criterion is trust. Without trust, one cannot expect fruitful collaboration or cooperation. Trust is based on the ability of both parties to show integrity and reliability. How can one trust another person who is not telling the truth (non-integrity) and/or net keeping his/her word (not reliable)? The final criterion which is crucial to facilitate effective communication is action orientation. Communication is a process of exchange of words. However, if the words are meaningless and not oriented towards the improvement of something, it becomes an empty ritual. This is actually happening when the ignorant mode of communication is happening. Both parties are not really interested in each other, worse even, they are not interested in themselves. The above explanation may seem obvious, but it does not say anything about the effective communication skills one has to possess to facilitate optimal communication outcomes. Communication is a dynamic process. Unfortunately, the process can be interrupted before it really begins. is overloaded with too much information, it is difficult to absorb. To get your point across, decide what to include and what to leave out, how much detail to provide, and what order to follow. If you try to explain something without first giving the receiver adequate background, you will create confusion. 2. Creating an effective message is difficult if you do not know how it will be used. This might be caused by a lack of familiarity with the other person(s). You need to know something about the biases, education, age, status, and style of your receiver in order to create an effective message. Decisions about the content, organization, style, and tone of your message all depend at least to some extent, on the relationship between you and the other person(s). If you do not know the other person(s), you will be forced to make decisions in the dark. 3. Lack of experience in speaking can also prevent a person from developing effective messages. Some people have limited education, lack of aptitude, limited vocabulary, are uncertain about grammar, are frightened to communicate, and lack experience in using language. These problems can be solved by taking courses in communication, participating in communication training programs, read plenty of self-help books, join some association or organization to practice communication skills: anything positive to overcome lack of communication skills. My name is Martin Hahn Ph.D. and I am an industrial sociologist with more than 20 years experience in teaching, management consulting, and corporate training. For more info and purchase my e-book, please visit: http://martinimhahn.com. Gallery | This entry was posted in Articles and tagged effective communication, fear of public speaking, hypnosis, hypnotist, life coach, north vancouver, past life regression north vancouver, pensacola news, public speaking, san antonio, vancouver. Bookmark the permalink.